Tag - skeleton | Squackle.com! The Funniest Site on the Net! New trends such as Kickstarter and Steam Early Access have made feasible genres and products that theoretically may not have been available otherwise. With investment on the front-end rather than the back-end, some game developers take this opportunity to fill in very specific niches which may (or may not) further garnish interest and investment. 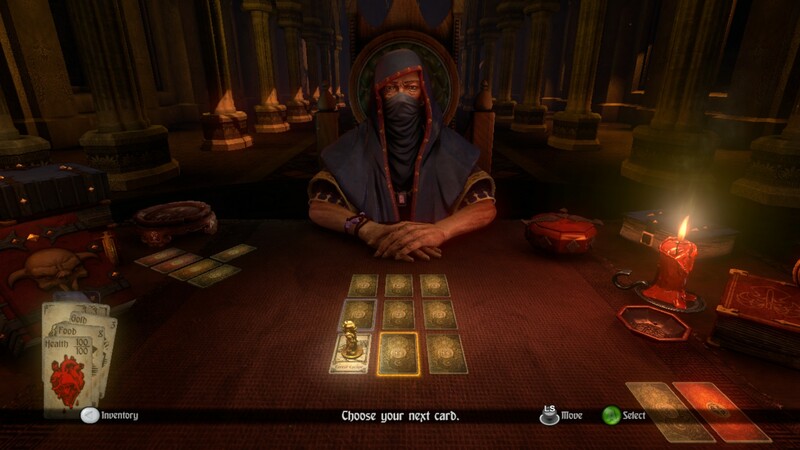 Hand of Fate is a product of this investment trend in the form of a deck-building card game featuring action-based combat. 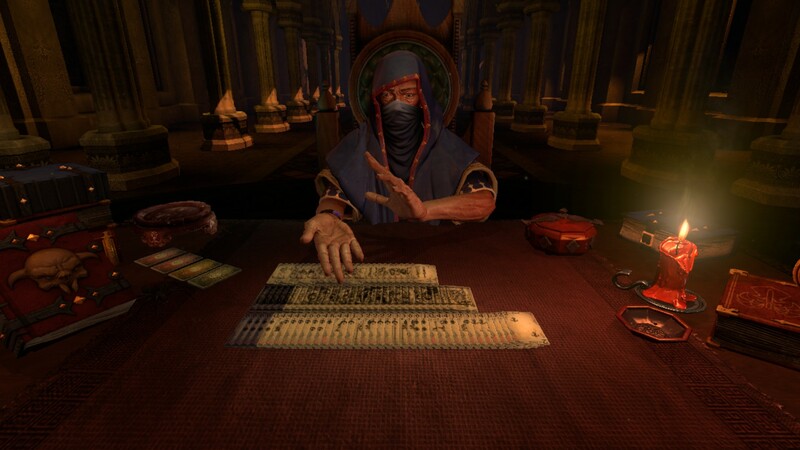 The set up for the story is you are challenging a talkative mystic to a card game, sitting across from him at a table. You get thrown right into the game, moving your piece across a set path of cards on the table with a boss at the last level. As you make your way through the first couple of bosses, you slowly learn the flow and mechanics of the game and learn more about the Dealer himself and the origin of the card game. With further progression you assemble the pieces of the story that each card tells and how they relate either to your nameless character or the Dealer himself. 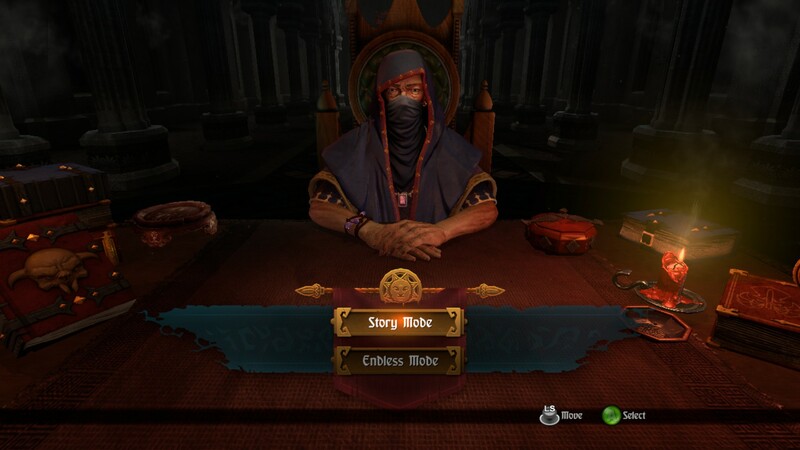 Hand of Fate begins to feel more like a throwback to an old adventure game with a narrator as you start to settle into the gameplay. As you progress through the board, you primarily get items, equipment, or encounter scenarios. How well you do dictates what gear you get and how easy the action-oriented encounters can be. 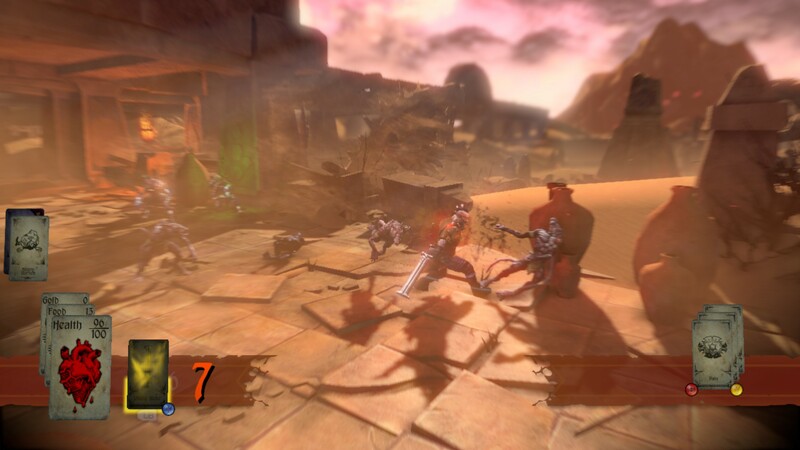 While you will primarily be spending your time at the table, you will port into encounters to beat up enemies and, eventually, bosses via action gameplay. The best comparison I can make for these interludes is something like a grounded God of War. That doesn’t mean you can’t feel quite powerful depending on the gear you get, though. These action encounters are really only one part of the greater picture, but they are very important to successfully complete as competently as possible — namely not losing health. The action gameplay takes a little bit to get used to, but is mostly satisfying. Normal swings with your weapon feel like they “snap” to one enemy and you don’t cleave other enemies who seem like they should get hit as well – this is counteracted by being able to quickly “switch” targets around and stun them with a shield (if equipped) or counter an enemy ability. The combat seems to be mostly based on your ability to counter and dodge attacks and when to use special abilities (if you have any) as there are no combos to perform. The combat doesn’t feel flat, but can feel a bit like spamming one button over and over — this can take the fun out of it if you prefer at least some sort of alternate attacks despite there being special abilities that are on long cooldowns. You can also stun with your shield and it is required to interrupt an enemy’s impending attack in certain cases. Sometimes you sort of fly at enemies that are a couple of steps away due to the way the “snapping” is designed, which can be a bit jarring but ends up helping you more than not. Encounters include combat, mazes, and shops. The locales in the combat are a bit varied, but you’ll begin to notice you see the same ones pop up over and over which allows you to familiarize yourself with the maps, which inevitably helps you. 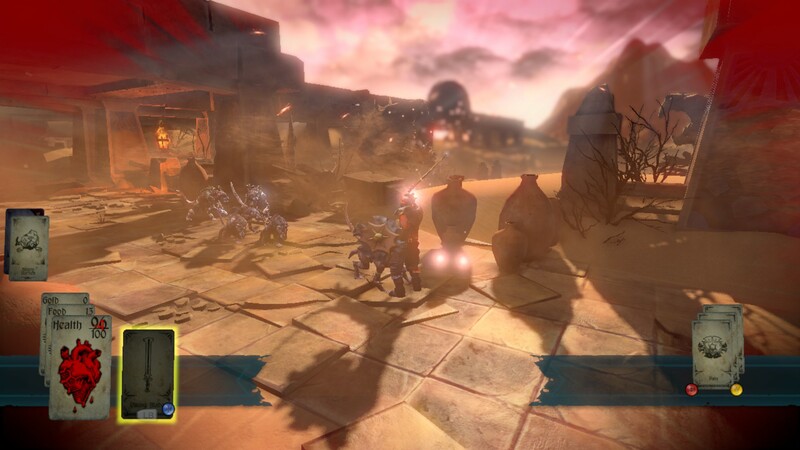 Traps are also set on the maps which can hurt both you and your enemies, so you may have to strategize exactly where you can run and which direction to dodge to. Mazes use these traps (and other unique ones) to hurt you, the motivation being to get through with minimal injury and to the treasure at the end of the maze. Shops allow you to buy health, buffs (called blessings), food, equipment, and remove debuffs (called curses). Depending on your progression and when you stumble upon a shop, it can be a game changer. Since the overall goal is to essentially prepare your character for the boss, doing terribly in one of the encounters could swing a good game into a bad one. As with other rogue-likes, death is permanent and you will lose the current progression of your run and have to start over if you end up failing. Any tokens you earn from cards will be yours to keep regardless of the outcome, which unlock more cards to play with. The Dealer reveals (and you are shown) early on that there are twelve bosses to progress through. For me, it was pretty smooth sailing for the first five bosses, but the sixth boss I felt a very large difficulty jump. Where you notice this difficulty jump could potentially be different for you depending on how many cards (and which cards) you unlock, but you’ll begin to notice that chance takes a very big toll on your progression. Some cards have a 25% chance to succeed, while others require you to have two lucky 25% draws. 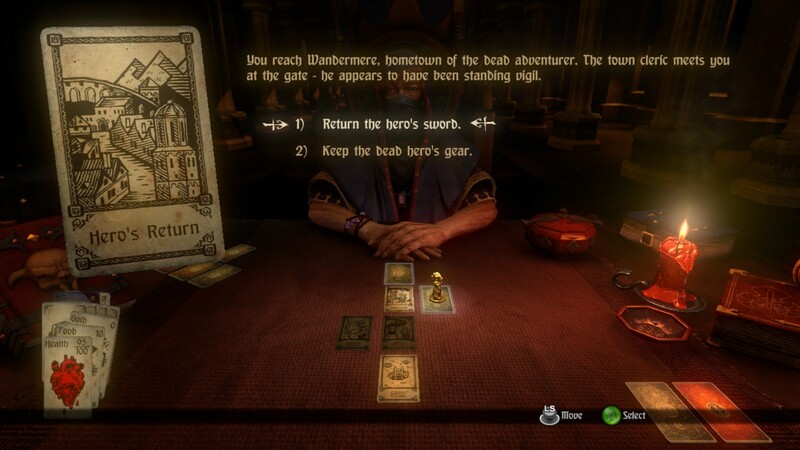 Most of the chance games require you to choose between four cards, but other chance-oriented games involve actions you take in a given story scenario. Depending on if you memorize what card does what you can mitigate chances towards the desired outcome in a story scenario. Rogue-like progression takes charge in unlocking more and more cards as you naturally play. As long as you accomplish a particular card’s challenge you’ll attain a token which rewards you more cards. 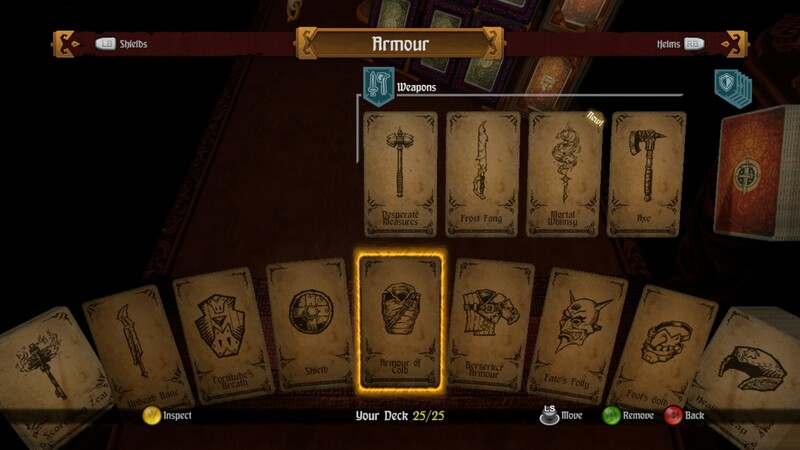 These cards may or may not be able to unlock further cards, which adds to the amount of encounters and equipment you can acquire in the game. There will be cards that you’ll have to encounter multiple times before you get lucky or remember what didn’t work last time before you’re able to acquire the card’s token. This can get subtly frustrating if they are based on chance on top of choosing the correct prompts. Graphics and sound are also boons to the overall experience. Character designs and animations work well with each other with a cartoony “flavor” to it. The more unique character designs come from the Lizardmen and Mages, while other characters in the game such as Thieves and Skeletons leave a bit to be desired in the style department, but serve their purpose fine in the end. The soundtrack is enjoyable and properly matches what is happening on the screen. 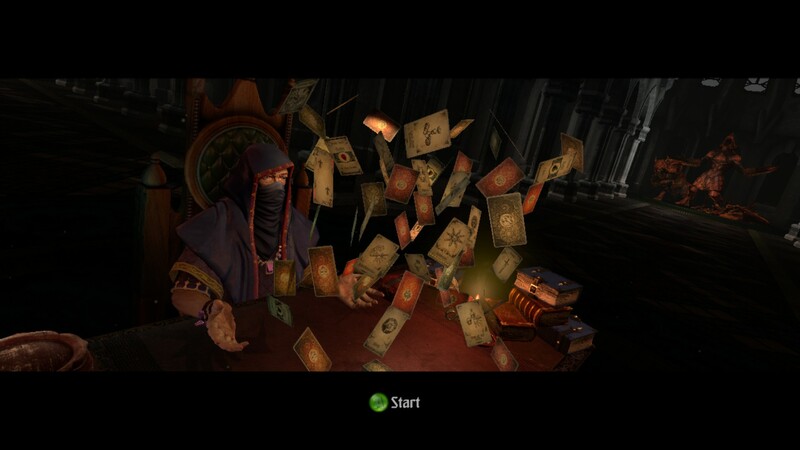 The table has ambient music and little sound effects for every time you activate a card. I also experienced no noticeable frame rate drops or graphics issues during gameplay. 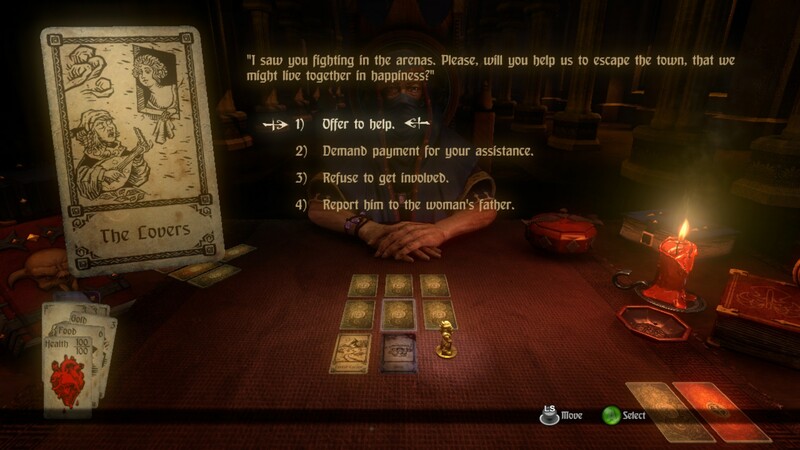 Hand of Fate is fun to play, but in the end what is it that actually tries to excite you to come back for more? 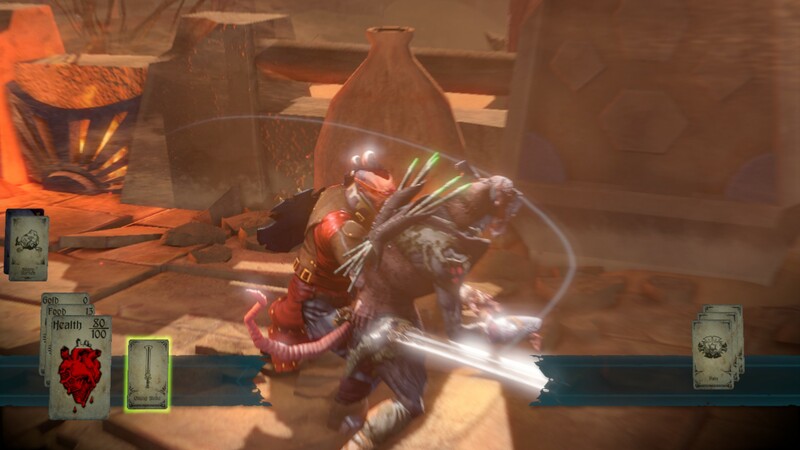 The challenge is certainly there and despite being a bit frustrating at times, you do get a sense of accomplishment when you finally take a boss down. But what is really fun, unique, and even mysterious about the game itself is one thing: the Dealer. 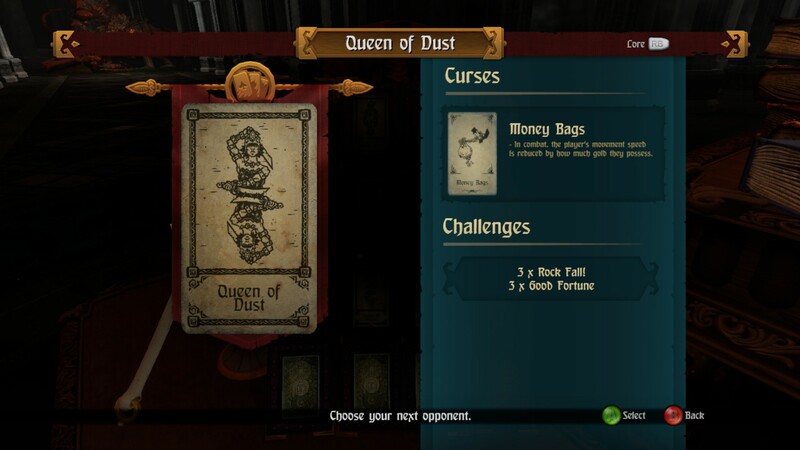 The gameplay of Hand of Fate seems to become only a tool in learning about the character of the Dealer. It is almost as if it is a character study when he says little tidbits about himself or what the purpose of certain things are, such as the card game itself and who he has played against before. He also voices a very strong opinion about in-universe-specific problems such as fake fortune tellers and other strange outbursts. As you replay the game over and over you’ll notice that you are hearing him say a couple of things repeatedly but for the first four or five hours, almost everything is unique, and he will usually have a little blurb for each new card. The Dealer’s fluid animation is interesting as he will occasionally play with his bracelet or make amusing gesticulations. What primarily sells the character is the voice acting, which is perfectly executed in the context of this game with the voice actor chosen. You also learn a little more about the Dealer himself from the set design. The slowly panning camera reveals what is on the table, and the halls where the game is taking place are able to be inspected a bit. The progression in the game itself seems to head toward a particular goal, but without taking wild guesses (or cheating and reading spoilers) it isn’t outright predictable. Game options may feel a bit sparse. You can only choose between Story Mode and Endless Mode. 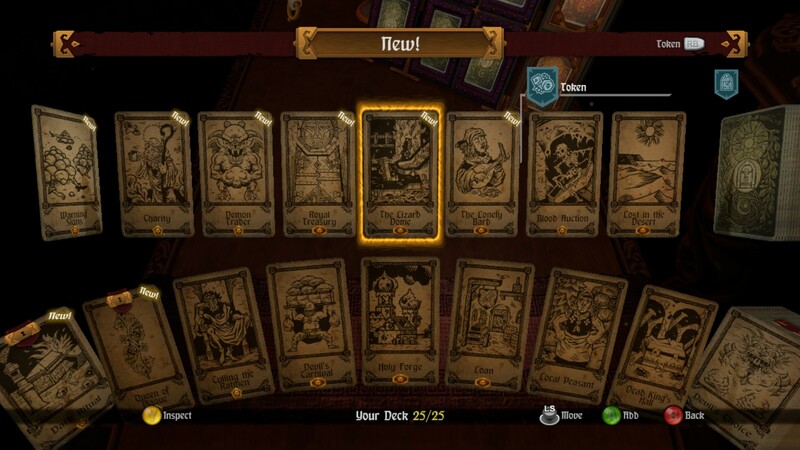 Endless Mode allows you to play with all of the cards you’ve acquired so far, which allows you to grind out locked cards. Endless Mode diverts from Story Mode’s rules in that every level you progress you draw a bad card which can be a Curse or something less impactful like loss of gold or health. The point of this mode would technically be Leaderboards, but I was using it to grind out some cards to unlock since I was having a lot of trouble with the sixth boss (and finally beat it before writing this review). Also related to game options is a curious lack of character customization for the avatar you use in the encounters. It would be one thing if the avatar you play as were characterized, but since he is seemingly vacuous, it feels like something is missing in that regard. It doesn’t take anything away from the gameplay, really, but if they were at least somewhat randomized each time as far as the face/skin tone went it wouldn’t feel as large of an oversight – I’m just left wondering why the avatar you play as looks like that and what his purpose is. Part of the mystery, to me, is whether or not the Dealer actually sees “you” or the “avatar guy” sitting across the table from him. 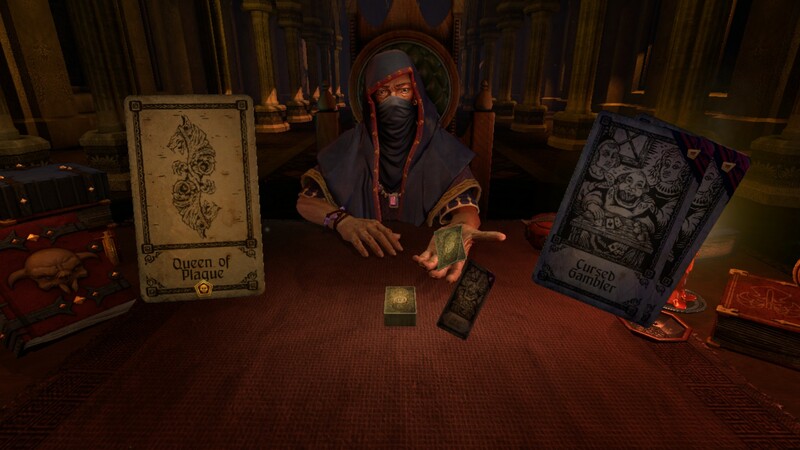 Being that Hand of Fate has been available via Early Access, it has seen many changes: balance, UI, and otherwise. 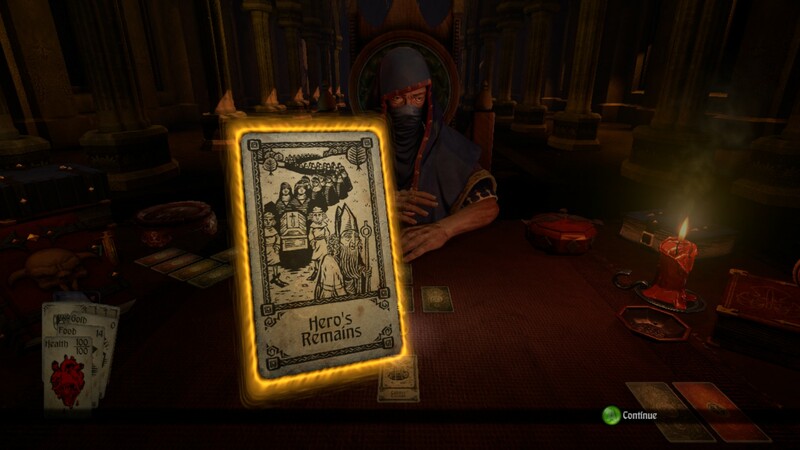 There are also plans for DLC, such as extra cards which would expand the gameplay down the line. It will be interesting to see just how much gets added by way of DLC and what impact it has on the game as more additions are made. 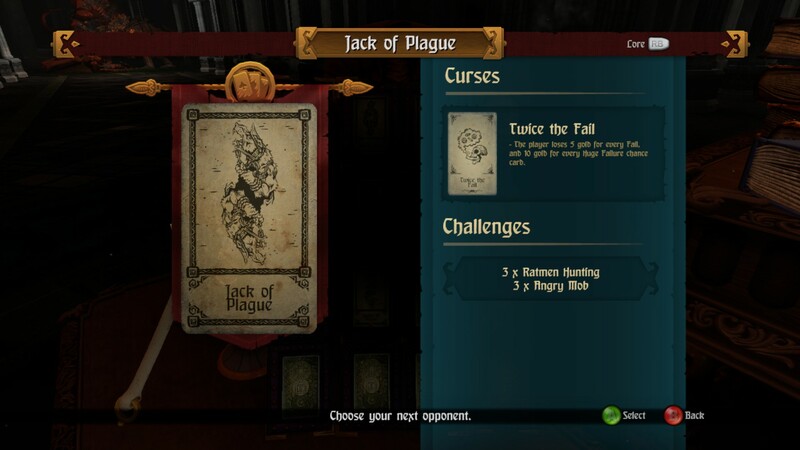 Hand of Fate is a very enjoyable game and a unique experience. Pushing on and completing the game, as well as unlocking all of the cards, can prove to be a time-intensive and challenging endeavor, but with hardly any harsh criticisms to be had about the game it isn’t a particularly daunting proposition. 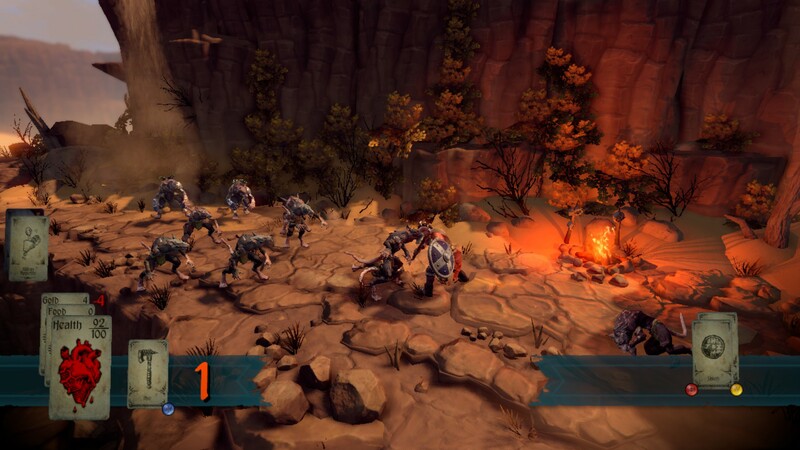 Hand of Fate is available for PC, PS4-PSN, and XBone-Live — console versions are available for download at 4 PM. 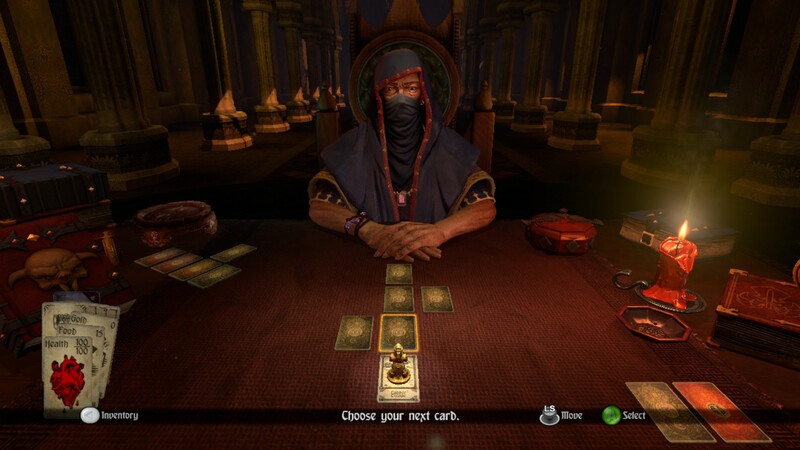 A reviewable copy of Hand of Fate was provided to Squackle. Q: What rock band do skeletons listen to? Q: How do ghosts go through locked doors? Q: What is another name for a sleeping skeleton? Q: Why didn’t the skeleton need a telephone? A: He had no body to talk with!